Today we announced the pending availability of tokenized US dollar coins supported by developments in the CENTRE open source framework and by a new partnership with Bitmain, which is also leading a $110M Series E equity investment in Circle. 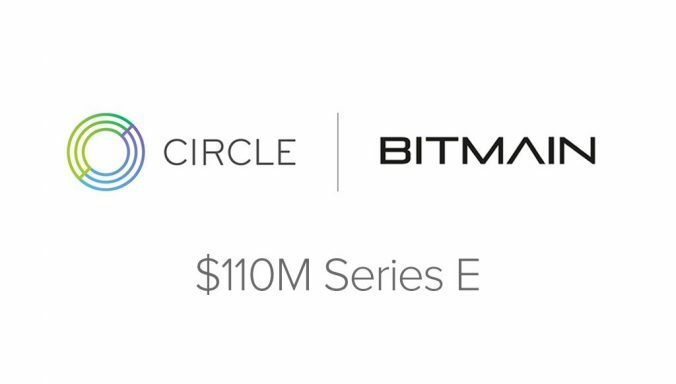 Bitmain is becoming a key supporter of CENTRE and USDC, and in conjunction with this new partnership, Bitmain is leading a $110M strategic investment in Circle. Also participating in this financing round are existing investors IDG Capital, Breyer Capital, General Catalyst, Accel, Digital Currency Group, and Pantera, along with new investors Blockchain Capital and Tusk Ventures. Bitmain is one of the most important and forward-thinking companies in crypto, and has become a critical infrastructure provider for the entire crypto economy. Bitmain Co-founder and CEO Jihan Wu is well known for espousing a vision similar to ours regarding the creation and adoption of a new global economy powered by cryptographic assets, distributed contracts, and open source blockchain technology. We are excited to be working directly with Bitmain on realizing our shared vision. Bitmain will also join CENTRE’s efforts to introduce multiple fiat-backed stablecoins and provide financial interoperability around the world. This partnership will help drive global interoperability that benefits consumers, business ventures, institutions, and marketplaces everywhere. Specifically, Bitmain will help CENTRE introduce multiple fiat stablecoins in a variety of geo-currency zones. These strategic partners believe in Circle’s goal of creating an open, global model for finance for consumers and businesses everywhere. We’re humbled and excited to work with them. Circle has grown to encompass multiple products: Circle Invest, Circle Trade, Circle Pay, and Poloniex. The refreshed look of our website circle.com, which is now updated and newly released, reflects this breadth. The pending introduction of USDC and other future stablecoins will impact and improve all of these products. We wholeheartedly believe that an open internet of value exchange can transform and integrate the world more deeply, eventually eliminating artificial economic borders and enabling a more efficient and inclusive global marketplace that connects every person on the planet. We see the future of the global economy as open, shared, inclusive, distributed, and powerful — not only for a few chosen gatekeepers, but for all who will connect. The development of USDC, the evolution of CENTRE, and this new strategic financing further grow our strength as we push toward our lofty goals. Yet in many ways, despite Circle celebrating a fifth anniversary this fall, we feel we are still just getting started. We’re thrilled for what’s to come.